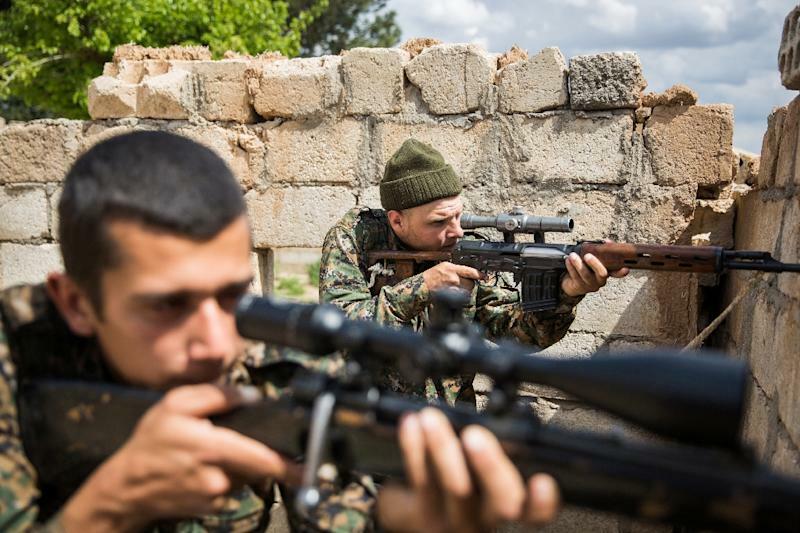 Ankara (AFP) - Turkey's government accused Kurdish forces battling Islamic State (IS) jihadists in northern Syria of carrying of "ethnic cleansing" of non-Kurdish populations, media said Tuesday. Deputy Prime Minister Bulent Arinc at briefing late Monday expressed alarm Kurds were trying to bring together three so-called cantons of northern Syria into a single autonomous Kurdish region. Turkey has not shared the satisfaction in Western capitals over the advance by Kurdish People's Protection Units (YPG) forces against Islamic State (IS) jihadists to seize the Syrian border town of Tal Abyad. 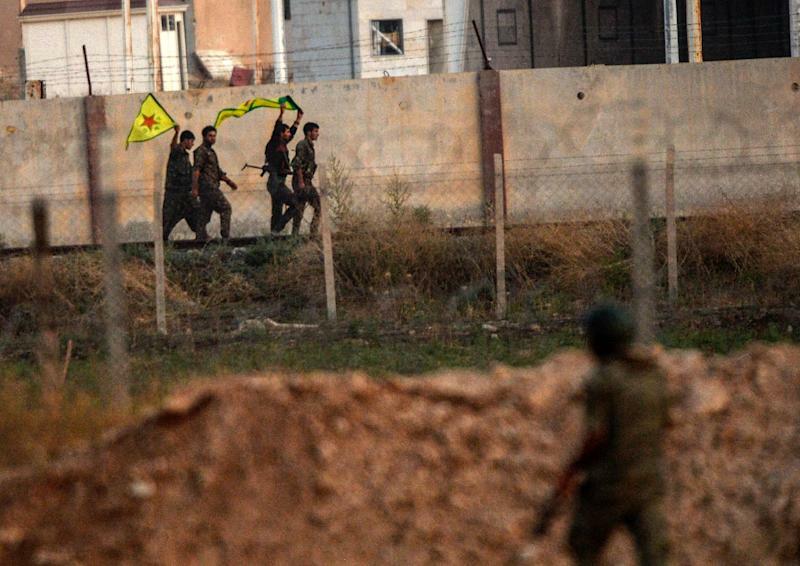 Ankara accuses the YPG -- the military wing of the Syrian Democratic Union Party (PYD) -- of being the Syrian offshoot of the Kurdistan Workers Party (PKK) which has waged a deadly insurgency for decades inside Turkey. People living in northern Syria targeted by US-led airstrikes to support the Kurds "were being ethnically cleansed by the PYD and YPG, as well as by Daesh," said Arinc, using a pejorative Arabic acronym for IS. Arinc said Ankara feared that Kurds were trying to link together the three partly Kurdish-populated cantons of northern Syria -- Jazira, Kobane and Afrin -- into one single Kurdish region. Syrian Kurds have already in the past declared the cantons as the autonomous region of Rojava, which has not been recognised by Damascus. Turkey has taken in almost 20,000 refugees since the fighting for Tal Abyad began but says they are mainly Arab and Turkmen Syrians, not Kurds. "We are seeing signs that that a formula is being worked on to exile (the Arab and Turkmen population) and clear (northern Syria) and replace them with other elements and to bring the cantons together," said Arinc, who is chief cabinet spokesman. President Recep Tayyip Erdogan on Sunday said he was troubled by the advance of Kurdish forces, saying they could in the future create a structure to threaten Turkey. 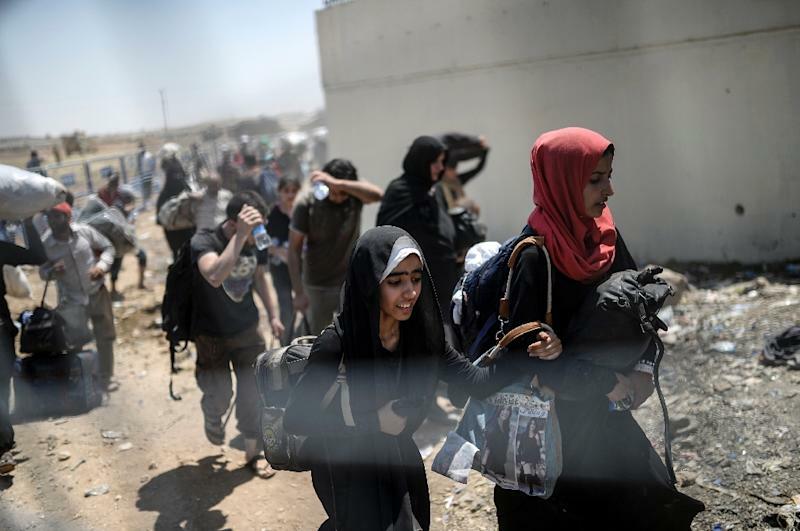 The Turkish authorities on Sunday and Monday allowed more refugees in after closing its border for several days. Arinc warned the situation with the refugees "is not sustainable". Turkey, which is already hosting 1.8 million refugees from the Syria conflict, is showing signs of increasing impatience that it has had to shoulder the burden of hosting refugees while the West has stood by. "The free world, Western states, democratic countries who believe in human rights must surely know that the responsibility also falls on them," said Arinc.